Each month, Farley at Oh Boy 4th Grade hosts her Currently linky and I have to say that I am not very regular at getting it up. I just can't seem to get it together in time. Well, this month....I have it! So what am I doing Currently?? What are you doing Currently?? Head on over to the blog to read about what everyone else is doing! 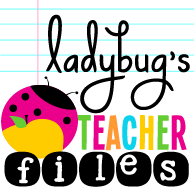 I also want to take this time to thank Kristen of Ladybug's Teacher Files for her AMAZING work in designing my blog. I absolutely LOVE LOVE LOVE it! It is just what I wanted and even more than I envisioned. She truly is an amazing visionary and so nice to work with. I am lucky to have her as a friend. Thank you Kristen. I love that you're listening to your sweeties giggle, so cute! I often wonder how in the WORLD you all do it with kids at home? It's just me and my boyfriend in our quiet apartment, so I'm jealous! I love your new design, too! I could so use some more time in my day too!!! I simply do not have enough time to get it all done! I am loving your new look too! It is perfect! I need more time, too! There's never enough. I love your new look! She did an amazing job!! I love that you bought a random man subway! That is definitely a RAK. I totally understand about sometimes a hug just making everything in the world better. Also, more time in the day: yes. Let's make that happen shall we?? I found you through Farley's Currently and I'm so glad I did. Have a great week! I think we could all use more time! I know I could! Love the new design! Stephanie! Thank you so much for the kind words--you know I adore you and I'm so happy you like it!! Sending you a bloggy hug right now--I hope things look up soon! I really love your new blog look. It is Fantastic! Glad to know I am not the only one who hasn't completed her holiday shopping. I really like reading your blog. I have nominated your blog for a Liebster Award. Check out this post for details.